India has the highest number of traffic-crash deaths in the world. Of the 140,000 fatalities that occur annually, more than 40 percent take place in urban areas. A large percentage of these are pedestrians and bicyclists, who typically comprise more than half of the road users in Indian cities. Often, motorists are booked for recklessness, whereas the actual cause and subsequent solution may lie elsewhere. Yet, the popular discourse around road safety is focused on measures that make vehicular-use safer, such as enforcing traffic rules, the use of helmets and seat belts and avoiding drunk-driving amongst others. The real causes of accidents are almost never considered. Scientifically, an accident is a multi-factor event that hinges on three variables – road-user behavior, vehicle characteristics, and physical infrastructure. Creating better physical infrastructure is the most tangible action that will ensure better road safety, and it needs minimal enforcement. It therefore essential that all our roads be designed as per standard road safety engineering principles and be equipped with necessary physical features such as mid-block crossings and refuge points, to minimize accidents. Roads form the largest percentage of public space available for city dwellers. 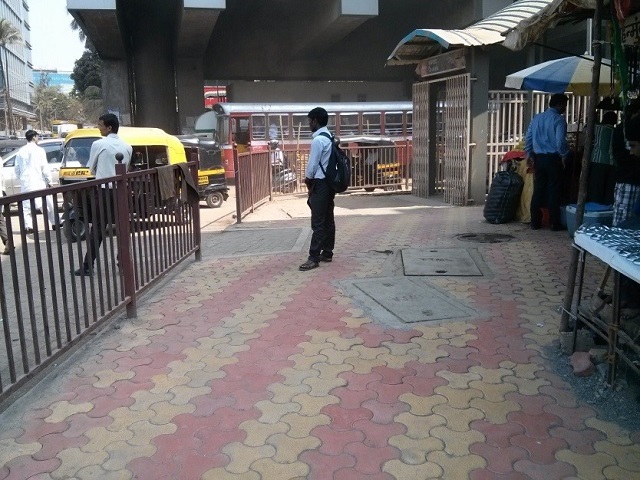 For example, in Mumbai, streets form 78 percent of the total non-buildable public space. Thus, creating a network of well-designed streets can result in multiple benefits for the city in terms of quality of life. 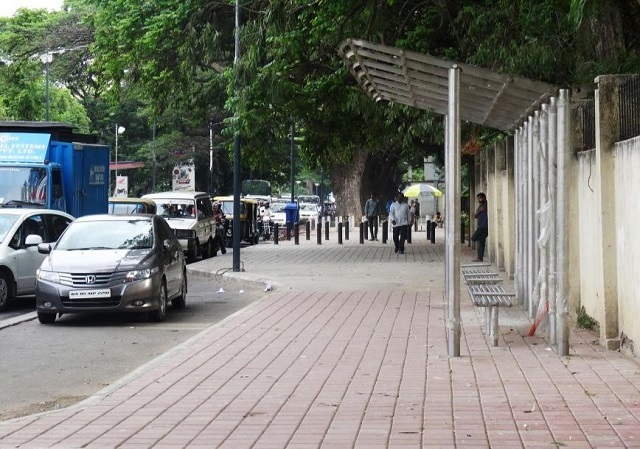 Firstly, utilizing leftover spaces along the road network to develop comfortable and attractive public spaces can not only help accommodate ancillary functions characteristic of the Indian street-space, such as chai-stalls and street vendors , but also help support local commercial and cultural activity, including tourism. Secondly, comprehensive street design can serve critical environmental functions for the city such as reducing the heat-island effect through urban-greening and recycling storm-water run-off through built-in bio-swales. Thirdly, it gives civic authorities the chance to ensure that urban streets are planned for the entire range of road users, and not just vehicles. Catering to the mobility needs of vulnerable users such as physically challenged persons, the elderly and children is absolutely essential. Integrating cycle-tracks and providing adequate and uninterrupted walking space can promote non-motorized transport (NMT), leading to substantial health benefits. Why is it that our urban roads fail to tap into the plethora of advantages that could result from what seems to be a straightforward solution? There are various challenges faced in achieving this. Undertaking a comprehensive street improvement project necessitates taking not only vehicular traffic and non-motorized traffic into consideration, but also services such as water, electricity, drainage – storm-water and sewage, optical fiber cables and gas lines. Thus, urban roads are domains where multiple overlapping service-providers, both municipal and private, operate. This is why, quite often, roads are being intermittently and haphazardly dug up or filled in, such that they are under maintenance or needing repair for the majority of the time. To prevent this, road design must integrate all services into easily accessible ducts. It is challenging, however, to find precise documentation and historical data of previously laid utilities for the designers to work with, a comprehensive database for which is greatly needed to mainstream street design initiatives. This would demand extensive institutional coordination, which could be limited by present municipal organization structures. Furthermore Indian cities lack up-to-date and legally binding design specifications for urban streets. While available guidelines are fragmented and the central agency – the Indian Roads Congress (IRC) – can only loosely recommend standards, the creation of city-specific design codes will prove instrumental in achieving consistency and high quality street design. Lastly, a major challenge is the process of implementation. While technical experts can produce high-quality drawings for proposals, the onus of implementation on the ground remains with the contractor(s) to whom the project is tendered. Thus there is a need to enhance building design capacity ,especially at the level of site foremen and laborers, so that the proposal is clearly understood and precisely adhered to during the construction phase. Despite these barriers there has been a slow and steady stream of projects that aim at upgrading the street design in Indian cities. A handful of demonstration projects impeccably executed could not only establish the benefits of quality design for their users but also change the way streets are conceived in the public imagination. 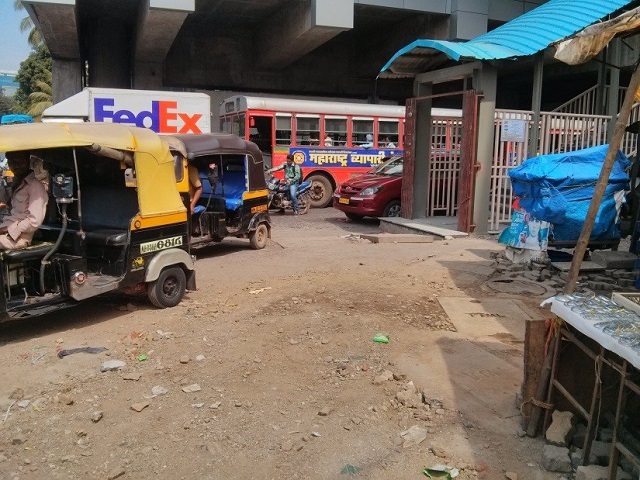 In Mumbai, a Street Improvement Project undertaken by WRI-EMBARQ India aimed at upgrading the existing road design along the Line 1 of the Mumbai Metro. The primary consideration of the design was road safety, pedestrian accessibility, effective commuter dispersal and convenient inter-modal transfer from the stations. Along the 11 km. of the Metro that launched in June 2014, the design was executed in 12 station influence areas by the Mumbai Metropolitan Regional Development Authority (MMRDA) as a part of their Station Area Traffic Improvement Scheme (SATIS). 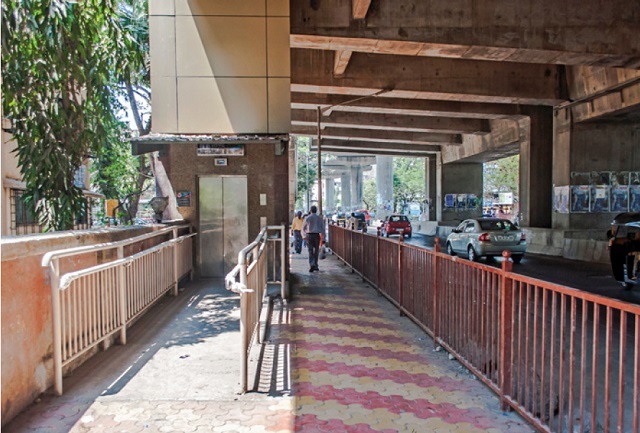 The initiative created the much-needed footpath space under the elevated stations, revised the geometry of the adjoining junctions and ensured better access to BEST bus-stops. 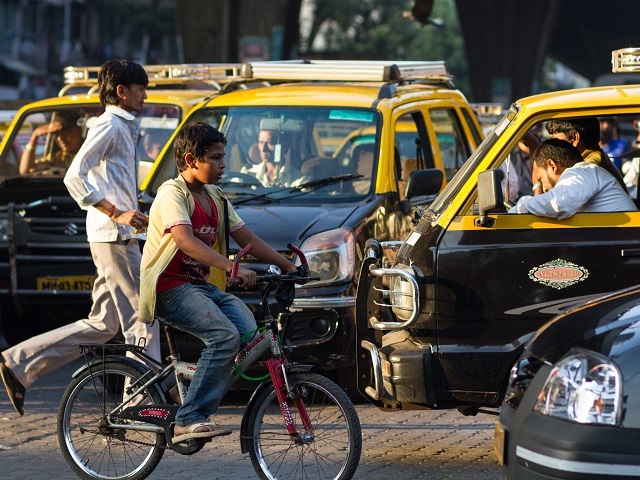 More targeted pilot projects could help navigate the way forward in the tricky space of making India’s urban streets safer by design. 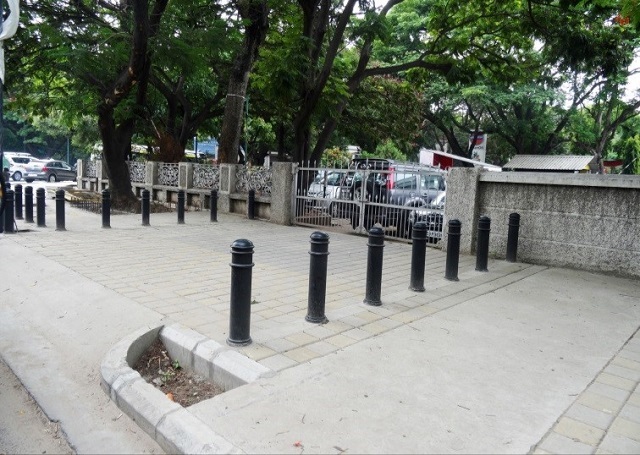 In Bangalore, two streets designed under the Tender SURE initiative – St. Marks Road (1.8 km) and Vittal Mallya Hospital Road (0.6 km) were opened to public on 19th June. 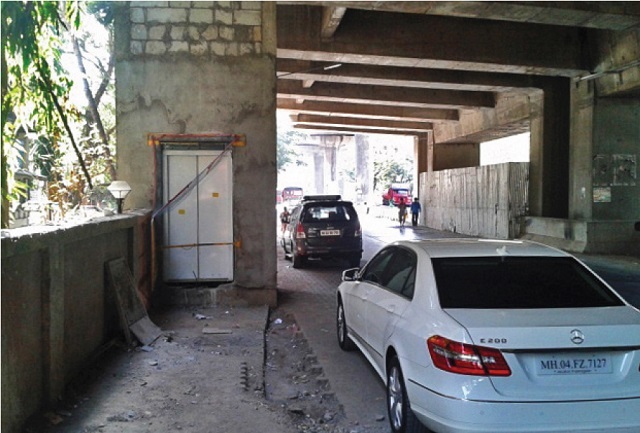 The focus of the project was to maximize pedestrian space by providing footpaths as wide as 5 meters and integrate all services with a utility duct to ensure no frequent digging occurs. Its purview also included preparing the citywide design specifications and handholding the Bruhat Bengaluru Mahanagara Palike (BBMP) through the implementation phase, including the tendering process and supervision of execution. The project demonstrates how continuous involvement and strict monitoring by non-governmental agencies can result in quality street design despite occasional public and municipal flak. The positive change brought about by such pilot projects however must not be an end in themselves. Need of the hour is to scale up such initiatives so that better design does not remain limited to a few isolated stretches, but spreads across the citywide road network. This blog originally appeared on WRI-India.org.